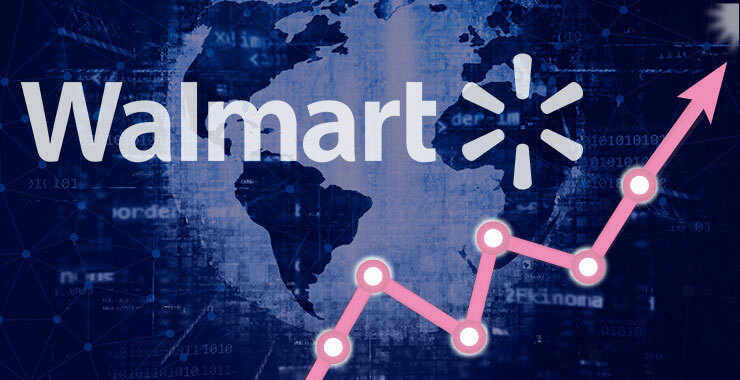 US head quartered retail giant Walmart is making big investments in its ecommerce business to matchup with the shifting preferences of customer. The company’s shift in the digital business strengthened its position in ecommerce space and has been taking several strategic measures especially on the e-commerce front to boost up the conversion rates and thus drive more sales. The company invested around $11.5 million to grow in e-commerce space and their sales increased by 23%. Walmart combined online, mobile, social and physical stores to give customers “anytime, anywhere” shopping experience. Walmart’s foray into the ecommerce gave online sellers an additional sales channel to expand on. By selling their products on Walmart, sellers can get an opportunity to reach over 110 million unique visitors. On Walmart, the ideal product title length is between 50-75 characters. It ensures best readability and SEO results. Although Walmart has a lower word count, they are specific about the information they want to display in your product name. So, to make the most of the valuable word count, you need to ensure that title is unique and has product specific keywords into it. In order to rank high on Walmart, make sure that product name is between 50-70 characters. Avoid putting the color name in the title, unless it’s likely that customer will search for it. This section is somewhat like a highlights section where walmart allows the sellers to include three most important benefits of the products. It is recommended to use proper keywords for a better search result. This section gives you the liberty of writing a paragraph of more than 150 words. With such a generous word count, sellers can show-off the expertise and knowledge with facts and tips about the product. Product attributes are on the left-side when searching for an item on Walmart.com. Walmart marketplace provides 24 different categories to describe the specific product attribute. Shoppers make the use of this filter in order to narrow down the search results by color, size, price, brand etc. The more accurate you are in assigning your product to a category, higher your product will be ranked on a search result. Pictures speaks louder than words! Adding attractive images to your product builds the authenticity of your product. Customer is not able to touch and feel your product; the decision to click your product listing totally depends on product image. Adding more than three images of the product help to increase conversion rate and give your buyer a more accurate idea of what to expect from your product. Recommended to click the professional pictures from the different angles, include packaging and other accessories images. Make sure that images used are zoom-enabled so that buyers can feel that they are viewing your product in person. Ensure that images follow the guidelines described in Product content policy and item image guidelines which include its size, URL and resolution. Price is one of the most important factors to focus on as it helps in maximizing sales and win the buy box. To know more about your catalog, it is recommended to download your inventory report regularly and check your price vs. buy box winners. This is a great way to see where your product stacked up against competition and will also help to know if your prices are different from buy box winners. You can opt for Walmart Repricer which can help you in adjusting your product price according to the Wal-Mart’s algorithm and help you in attaining the buy box. Customer reviews can make or break the product! Positive customer reviews build the credibility of your product and play a crucial role when it comes to improving your ranking. Ask your loyal customers to leave reviews and reach out the unsatisfied customers to address their concerns. One way to provide customer satisfaction is by ensuring timely product delivery. Walmart confirms with the retailers about the delivery of order shipment on or before the expected shipping date. Late product shipping increases the chances of poor reviews and puts the negative impression of your brand which ultimately affects your product ranking. Considering the above factors and keeping up with the right strategies will surely ensure success on Walmart. Giving equal attention to each part of the listing will maximize your profits. Walmart buys Jet.com: What it means for Amazon?